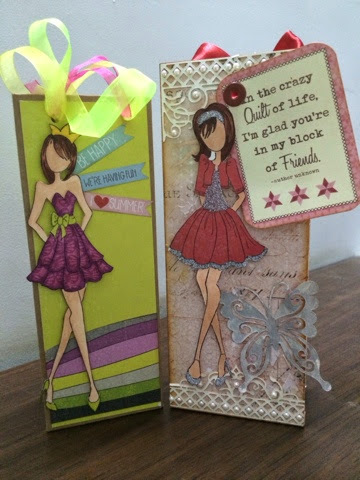 WRMK punchboards are wonderful to create various kinds of boxes,envelopes, and other 3d projects but its equally important to know how to jazz them up and take your simple box or bag to next level of customisation and creativity. I have a secret to tell you all……………………..i am in love!!! Guys I can't tell u how versatile these stamps are and they can do magic to any project. 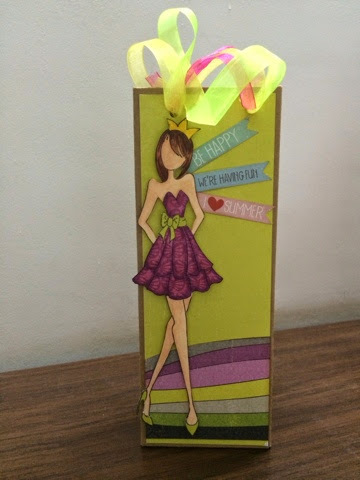 Its always fun to use them in tags, mixed media projects and even on paper bags. I use almost every way to colour them like water colouring , copic colouring and paper piecing. 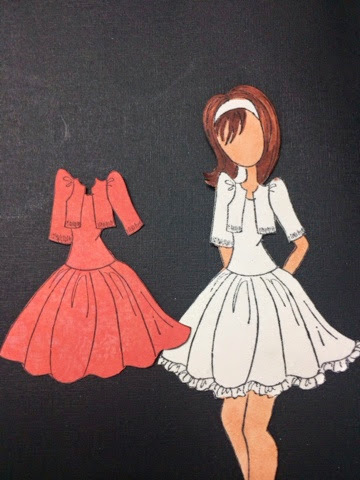 Water and copic colouring is indeed a beautiful way to make the dolls pretty but today i will talk only about PAPER PIECING the dresses of the Prima Dolls. Guys I can assure u it's super easy and will b super fun too. 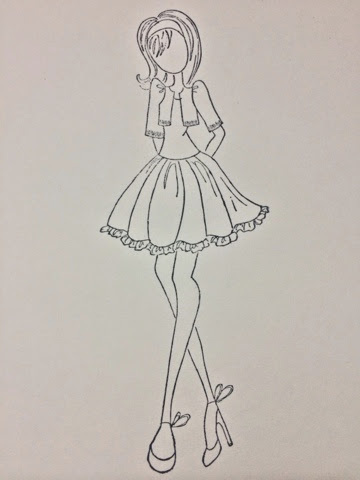 Stamp the prima doll with black Memento Tuxedo ink on a white card stock. Fussy cut the doll carefully. 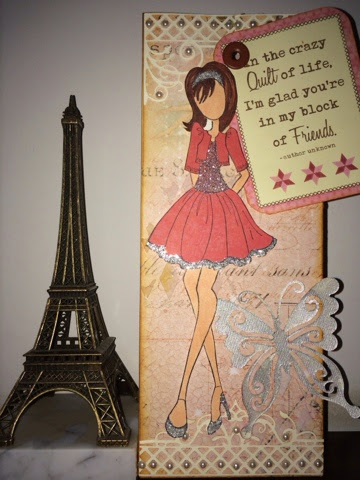 Stamp the doll on a patterned paper of your choice. Multiple colours can also be used. 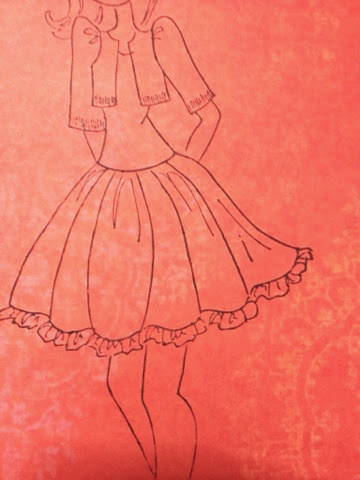 Cut the portion of the dress neatly. Colour the hair and body the way u want to. 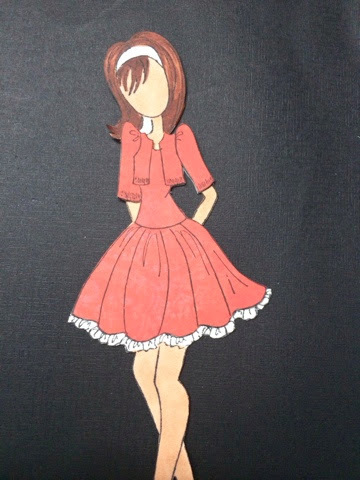 I used my copics to do the same. 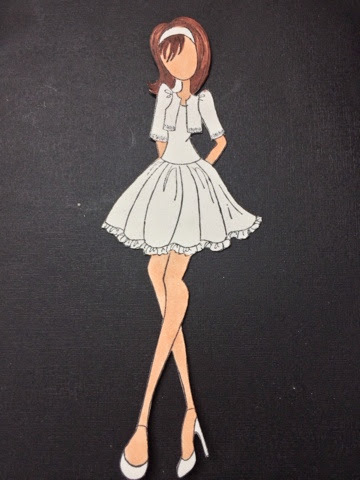 Stick the dress on the doll by carefully aligning it. 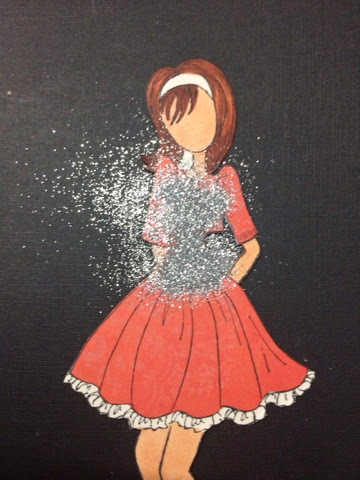 Add glitter to jazz up the dress and the doll is ready to be placed over the paper bag. 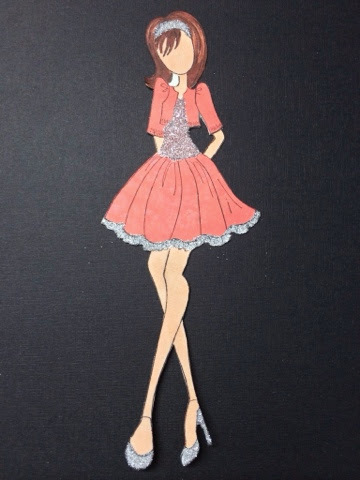 Here is the look of the project I made using this doll. There are Prima doll dies also which can make the entire procedure fuss free and much more quick and easy . Please feel free to put in ur queries and I will b happy to answer them .